The Wisconsin river was one of the main water routes for tribes. It begins near Watersmeet on the Lac Vieux Desert reservation. 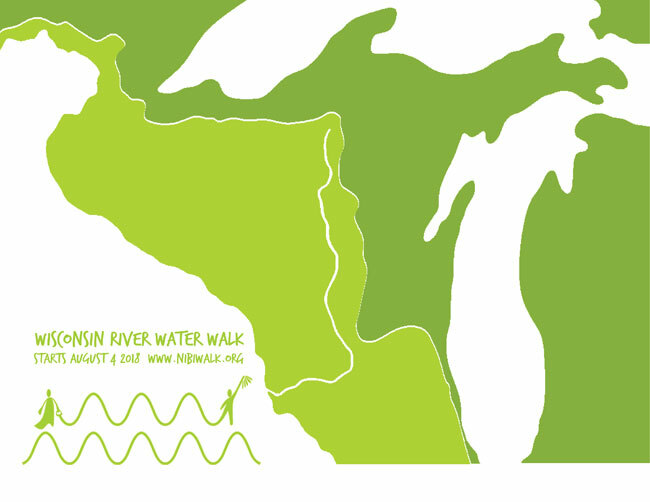 One trail went to Lake Michigan, one to Lake Superior and the trail along the Wisconsin River meets the Mississippi. We followed the southern trail route along the Wisconsin River following the path of the ancestors. The Wisconsin River is the longest river in Wisconsin. It flows south across the glacial plain of central Wisconsin, passing through Wausau, Stevens Point, and Wisconsin Rapids. In southern Wisconsin it encounters the terminal moraine formed during the last ice age, where it forms the Dells of the Wisconsin River. North of Madison at Portage, the river turns to the west, flowing through Wisconsin’s hilly Western Upland and joining the Mississippi approximately 3 miles (4.8 km) south of Prairie du Chien. The 379 mile walk lasted 12 days. 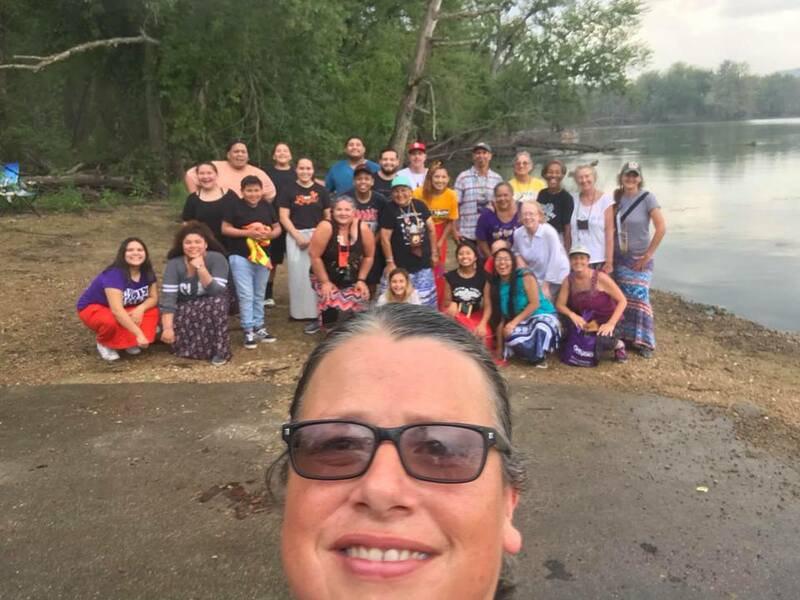 A large group of walkers carried the water including many youth.